Sound know-how, innovative technologies and high quality standards turn bathing suits and bikinis into textile performance drivers.The benchmark at Solar is high and the standard set for the proprietary product range rises with the increasing number of technological possibilities. Our prime objective is to develop beach fashion with additional benefits and one look at the collection 2011 proves that Solar has long since surpassed its goals: Next season’s models come with the look of the latest fashion trends but are, at the same time, highly functional textile performance drivers in an attractive packaging. One of the most innovative technologies developed by Solar is Tan Thru®, a fabric that has been patented worldwide and provides the wearer with an all-over tan. The bathing suits in the Tan Thru® collection are completely opaque – wet or dry – but permeable for the rays of the sun which, of course, also means that the wearer must be wary of a sunburn: Tan Thru® guarantees some sun protection equivalent to a sun crème with LPF 4-8 – depending on how much the fabric is stretched.This material dries very quickly, is breathable and elastic and therefore provides maximum wearing comfort. And it won't only last for one season. Tan Thru® is extremely resistant to wear and tear and will even withstand extreme conditions such as sliding on exposed aggregate concrete. Dry Weave® was originally developed for high-performance swimmers and steadily improved in collaboration with top athletes bringing it to a state-of-the-art standard. It is an exclusive high-tech fabric developed by Solar to absorb only small quantities of water which makes it very fast-drying. The fabric repels water so that fewer water turbulences are created while swimming and gliding properties are improved – a very important factor when a thousandth of a second is decisive. It is, therefore, not surprising that Dry Weave® is called the “Formula 1 Fabric” in competitive sports and that Solar has established itself in the premium segment of high-tech swimwear. In 2006, Dry Weave® again focuses on and enhances the models of the competitive collection for high-performance sports. 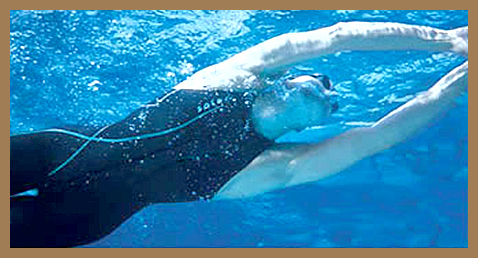 Especially the „Speed Stars“ line developed for competitive swimmers benefits from the functional properties of this fast-drying fabric and – incidentally – also has a very attractive price-performance ratio. The fact that Dry Weave® is also represented in the fashion ranges is due to the additional benefits offered by this fabric: not only does it dry in seconds but it is also very light and breathable, 100% colour-fast, has above average chlorine resistance and is, therefore, guaranteed to provide long wear.